Brakes are a part that we tend not to think about until the telltale squealing or squeaking sound becomes too hard to ignore. Just as brakes are an important safety system on passenger cars, brakes are vital to the safety of bus passengers, too. Many motorcoaches are equipped with air-brake systems. While these braking systems are effective at stopping a large, heavy vehicle like a bus, they must be properly maintained and monitored in order for problems to be quickly detected and corrected. Braking system failure on a commercial bus can send the bus careening out of control until it either strikes a stationary object or flips onto its side and skids to a halt. Not only are the bus passengers in danger, but other motorists and individuals on and near the roadway are also in jeopardy. A bus company that fails to properly maintain its fleet’s braking systems or a bus driver who ignores early warning signs of brake problems can be held responsible for any injuries sustained by passengers or other motorists in a bus accident. Motorcoaches equipped with air-brake systems and built after 1975 must comply with U.S. safety standards. An air compressor works to keep constant pressure in the braking system. When the brakes are applied, air pressure is expended. The compressor works to build the air pressure back up once it is expended so that the brakes are able to be used again. Warning lights may illuminate on the gauges if the pressure in the system drops below a safe level. What Should a Bus Driver Do if There Are Brake Problems? Although most buses are equipped with parking brakes, these are not recommended for use as emergency braking systems, as they can cause the bus driver to lose control and the bus may flip as a result of the sudden braking. A claim for compensation after a bus accident can be brought against the driver if he or she knew or should have known that there were brake problems but ignored them. The bus company may also be at fault if it did not perform regular maintenance on the system. Important evidence to support either of these two theories (and other possible theories) can be lost if the swift action by a bus accident attorney is not taken. 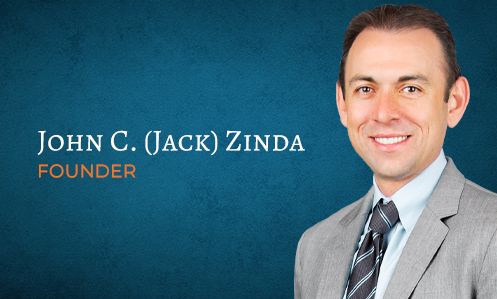 If you or a loved one have been injured in a bus accident caused by defective brakes, contact our offices at (800) 863-5312 to schedule a free initial consultation and allow Zinda Law Group’s legal tem review your case.